You might not know that today marks the International Day of Peace. Though our first thoughts may go to our own country in conflict, I would like to take this opportunity to share about children around the world who are being forced into soldiers. Today, there are approximately 300,000 children serving in government forces or armed rebel groups. Some of these children are taken from their homes as young as eight years old. To date, approximately 2 million children have been killed and 6 million have been left permanently disabled while serving as soldiers in their country’s conflict. 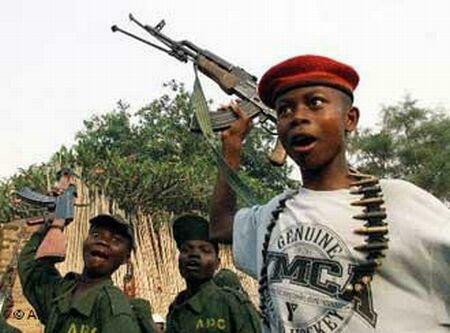 Currently, 18 countries involve children soldiers in armed conflict. International Day of Peace is also a Day of Ceasefire –both personal and political. Consider taking this opportunity to make peace in your own relationships as well as impact the larger conflicts of our time. Imagine what a whole Day of Ceasefire would mean to the planet and the number of lives that would be spared as a result. Today (and even after today) I ask you that you pray for these 300,000 children who have been so brutally robbed of their innocence.